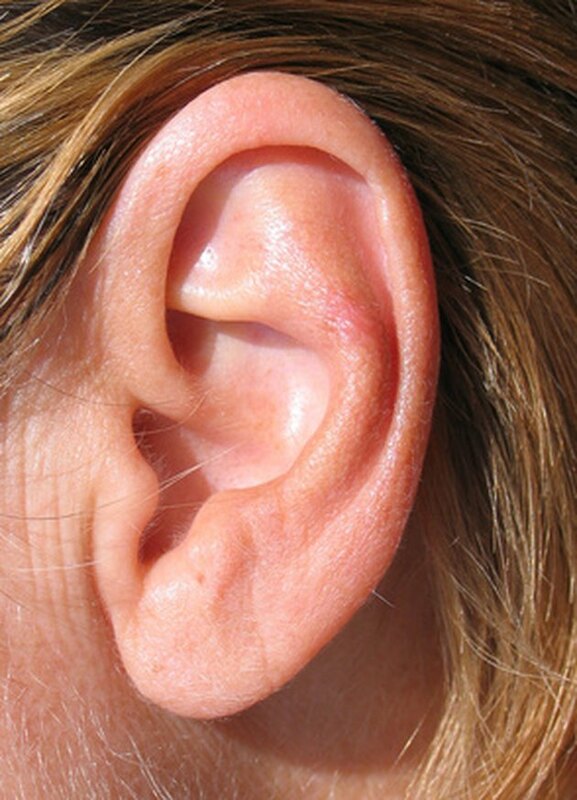 What Foods Cause Your Ears to Ring? An estimated 50 million Americans suffer from a chronic or recurrent ringing, roaring, whistling, hissing, clanging or shrieking sound in their ears, according to How Stuff Works. This condition, called tinnitus, often occurs because the tiny hair cells in the inner ear that conduct sound are damaged, producing constant stimulation of aural nerves. A wide range of causes can contribute to this condition, including exposure to loud noise, aging, medications, hearing loss, allergies and stress. Several food or food additives can trigger or exacerbate ringing in the ear. Many people with tinnitus report worse symptoms after eating salty food, according to the American Tinnitus Association. Salt restricts blood vessels, increasing blood pressure within the major arteries while reducing blood flow into the eyes, ears and brain. Snack, fast and processed foods tend to contain large amounts of salt. Salicylates are naturally occurring chemicals that protect plants against bacteria, pests and disease. People with salicylate sensitivity can have adverse reactions to the accumulation of salicylates in their body. People with tinnitus can experience a worsening of their symptoms when exposed to salicylates, according to the Journal of Neurosciences. Foods that contain salicylates include fruits such as dried fruit, blackberries, blueberries, boysenberry, oranges, pineapples, raisins, raspberries, strawberries and tangerines. Vegetables with salicylates include peppers, tomatoes, and canned green olives. Other foods with salicylates include almonds, peanuts with skins on, coconut oil, olive oil, processed lunch meats, corn syrup, honey, jams and peppermint. For various reasons, several beverages can trigger or worsen tinnitus symptoms. Red wine, grain-based spirits such as rum and beer, cider, sherry and brandy all contain high to very high levels of salicylates. Beverages that contain caffeine such as coffee, tea, hot chocolate and energy drinks also exacerbate tinnitus, according to American Tinnitus Association. Caffeine may exacerbate in some people by increasing blood pressure and stimulating nerve cell activity. The artificial sweetener, aspartame, reportedly can worsen tinnitus symptoms in people who are sensitive to this additive, according to American Tinnitus Association. Monosodium glutamate may cause adverse reactions, including migraines and exacerbation of tinnitus symptoms, in people who are sensitive to it. A significant portion of people with tinnitus have a sugar metabolism problem called hyperinsulinemia, according to the National Institutes of Health. Hyperinsulinemia occurs when the body develops an insensitivity to insulin and therefore fails to break sugar down and deliver it to cells. This resulting excess of glucose in the blood stream causes the pancreas to release more insulin. People with tinnitus who maintain a diabetic diet may experience an improvement in their tinnitus symptoms. Although fats do not necessarily cause an immediate exacerbation of tinnitus symptoms, foods with saturated and trans fats contribute to poor circulation and reduce blood flow. A diet high in these unhealthy fats increases bad cholesterol and decreases good cholesterol, affecting long-term heart health and potentially heightening the severity of ringing in the ears. Foods high in trans and saturated fats include fried foods, whole milk, butter, shortening, ice cream, fatty meats like pork and beef, chicken skin and fat, snack foods and candy.